The growing problem of vandalism in our state and national parks has hit home here in Utah. The recent discovery of graffiti at the popular Sand Dune Arch indicates the extent of this problem. Park visitors who come across this damage may not understand that carving their initials into the red rocks may cause permanent damage and have a negative impact on future visitors. They also may think that if someone else has done it that it is OK. Although the Park Service provides interpretive signage and other educational methods to help visitors understand the ramification of graffiti in the park, it is still not enough. Even if the Park Service had twice the staff to monitor all of the popular cultural and natural resources, it would not even begin to cover the vast landscapes found in southeast Utah. What is needed is the additional "boots on the ground" to supplement the park staff. The Friends of Arches and Canyonlands Parks is providing the National Park Service Southeast Utah Group with that help. The Friends is a nonprofit organization, started in 2010 as an official partner with the Park Service. Working with park managers, the Friends created a Volunteer Stewardship Program. The program recruits and trains volunteers to monitor and record the condition of the precious resources throughout the parks in Southeast Utah. The Friends program began with a small group of local volunteers but has since grown to more than 40 volunteers and school groups from across the state that could provide the equivalent of one full time ranger for the Park Service. The focus of the program has expanded to also include graffiti cleanup, trail monitoring and site stewardship. Not only is this program an invaluable assist to park managers it also offers the volunteers the benefit of connecting them to the landscape in meaningful ways. Last fall, during Public Lands Day, the Friends partnered with the National Park Conservation Association to host a Graffiti Awareness Day. More than 30 volunteers participated in cleaning up graffiti throughout Arches National Park. This included graffiti at Delicate Arch, Skyline Arch and Sand Dune Arch. A few weeks ago a group of 12 students from the Sorenson Ranch School drove all the way from Richfield to clean graffiti in the Devils Garden Campground. Not only did the volunteers help restore the desert features, their presence provided a wonderful educational opportunity for park rangers. Visitors were greeted at the trailheads with signs telling them that the Graffiti Removal Teams were at work. Visitors were able to see firsthand what it takes to remove unwanted scars on the red rocks that define southern Utah, formed over tens of thousands of years by water and wind erosion. Park rangers engaged visitors regarding the activity and at the same time educated them on how vandalism not only harms the visitors&apos; experience, but requires difficult, painstaking work to repair. Our volunteers love our national parks and will go to great lengths to ensure that these special places are protected and preserved for future generations to enjoy. We hope that by involving young people in these volunteer activities, they will in turn share with their friends and families the ethic that will prevent future acts of vandalism in our parks and build greater appreciation for the rare and unique natural resources these parks were established to protect. It is the youth of America whose love of our National Parks that will determine their future. As the Friends of Arches and Canyonlands Parks, it is our mission to harness that power and help the dedicated professionals of the National Parks Services carry out their work today. 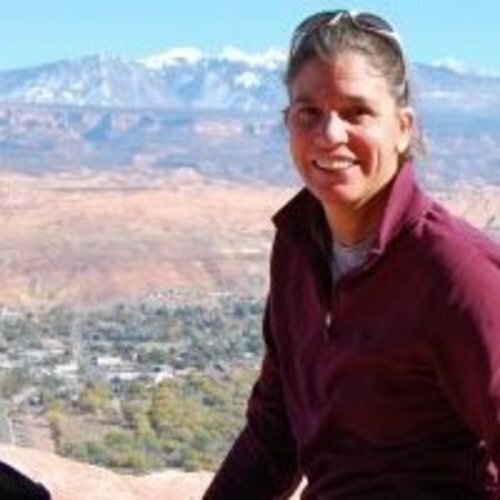 Joette Langianese is the Executive Director of the Friends of Arches and Canyonlands Parks.